Judith is a Kenyan and has been serving in academic and regional Non-Governmental Organizations in different managerial and leadership capacities since 2005. Judith has a Bachelor’s degree in Sustainable Human Development and a Master of Business Administration with Financial Management option, both from the Catholic University of Eastern Africa (Nairobi). She expects to graduate with her PhD in Management and Educational Technologies at The Open University in Netherlands. 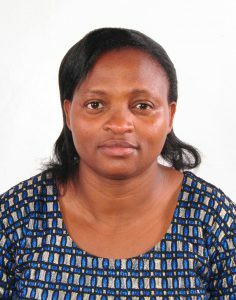 Her doctoral work assessed the differentiation in access to and use and sharing of OER among students and lecturers at 12 universities in 3 countries in Africa (publications already available for Ghana (2018) and Kenya (2017)). This research is a part of the large-scale intercontinental study Open Educational Resources for Development (ROER4D), which was undertaken to get a fair ‘OER picture’ for the Global South (covering South America, Southeast Asia, and Sub-Saharan Africa). This research received funding from Hewlett Foundation and International Development Research Center (IDRC), in collaboration with the UNESCO Chair on OER at The Open University Netherlands. Judith has published work in a number of peer-reviewed academic journals including International Review of Research in Open and Distributed Learning (IRRODL) and has passion for OEP and OER.